There are many different Arduino and Arduino Compatible microcontroller boards. Which one is right for your needs? This guide will help you to select a board that best fits your project requirements and/or level of expertise. 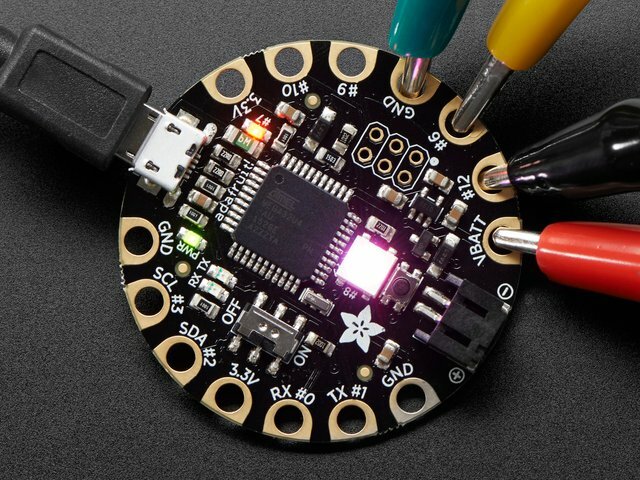 Whether you are just learning the ropes or have specific project requirements in mind, the Adafruit Arduino Selection Guide can help you to make the right choice. If you are new to Arduinos, the "Getting Started" page will help you select the right board and get you set up with the accessories you need to get going with your new Arduino. If you are looking to step up to an Arduino with more memory, pins or horsepower, head straight to the "Bigger and Better Projects" page. So you have tested and debugged your project on the breadboard and are wondering how to package it nicely. Maybe even make it portable or wearable. In that case, head over to the "Big Ideas in Small Packages" page. If you know exactly what you need and just want to know which boards have it, check out our handy Arduino Comparison Chart. No Arduinos were harmed in the making of this guide. So your project has outgrown the Uno and you need something more. There are many options for expansion: There are many Arduino boards with more pins, more memory, more connectivity and/or more computing power compared to the Uno. But first keep in mind that moving to a processor with more capabilities than the Uno's Atmega 328P comes with some trade-offs in compatibility. Although many of these boards have headers that are laid out to accept standard Arduino shields, the pinouts of all these boards are somewhat different. SPI, i2c, PWM and Pin change interrupts are on different pins from a standard Arduino. In addition to all that, the Due runs at 3.3v, and many libraries have not yet been ported to support the Due's ARM processor. So use this guide to help you select a board that will take your project to the next level. But be aware that it may not be 100% "Plug & Play" with all the shields. See our Shield Compatibility Guide for more details. Stepping up to an Arduino Mega gives you 40 extra digital pins and 10 more analog input pins. The Arduino Mega ADK also adds a USB port designed for integrating with Android devices. The Arduino Due gives you 40 extra digital pins, 6 extra analog input pins and 2 analog output pins. 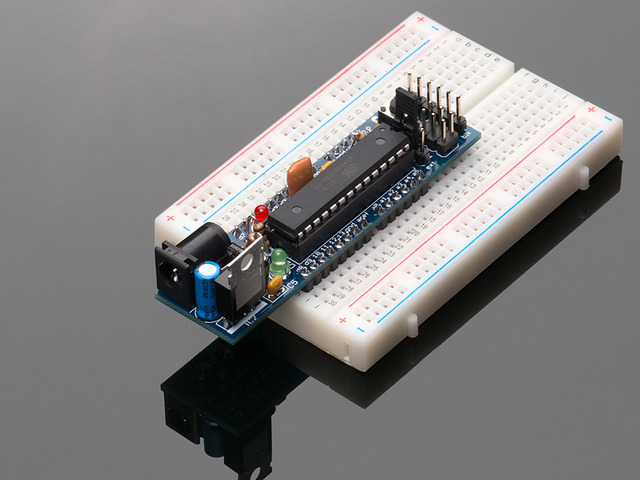 The Arduino Ethernet is the simplest way to make your project part of the Internet of Things. As a bonus, it comes with a built-in SD card. The Megas and the Due mentioned above all have 4 hardware serial ports for efficient communication with serial devices. The Due, Leonardo, Micro and Flora all have native USB capabilities, so they can emulate keyboards, mice etc. The Due also supports the CAN bus - popular for automotive applications. Having trouble fitting your code into Flash? Is you sketch crashing from lack of SRAM? Either of the Megas will give you 8X the Flash and 4X the SRAM. A Due has 16X the Flash and 48X the SRAM compared to an Arduino Uno! Almost all the Arduinos are based on 8-bit microcontrollers running at 16MHz. The Megas have more pins and memory, but they won't make your code run any faster. The Arduino Due is based on a 32-bit ARM processor running at 84MHz. The Due is the clear winner in the speed department. So you want to make your project a bit less bulky or need to fit it into a confined space - maybe even make it wearable. There are many great options for embeddable or wearable Arduino projects. The DC Boardino and USB Boarduino are the most Uno Compatible options. They are about 1/3 the size of an Uno but use the same Atmega 328P processor. Your Uno sketches should run without change. The Boarduinos can be built without sockets or headers for a lower profile. The DC version can be made even more compact by eliminating the voltage regulator section of the board if you already have a regulated 5v supply. The Flora is both small and thin! It uses the same processor as the Leonardo, but takes up less than half the area. The smallest of all is the Micro. This is about 2/3 the size of the Boarduino and also uses the 32U4. Your Leonardo projects should easily port to the Flora or Micro. A standard Arduino with headers is pretty chunky, and plugging things into the headers only makes it bulkier. The Leonardo is available in a headerless version. and the Flora has no headers either. Both the DC Boarduino and the USB Boarduino can be built without sockets or headers to make a thinner package. Sure you can switch to a tinier processor, but what do you do with the rest of the electronics? Short of a custom circuit board, there is the Adafruit Menta with its built-in prototyping area. The Menta is sized to slip into a mint-tin for a simple and attractive package. But they are also great for any embedded project that needs some custom circuitry. 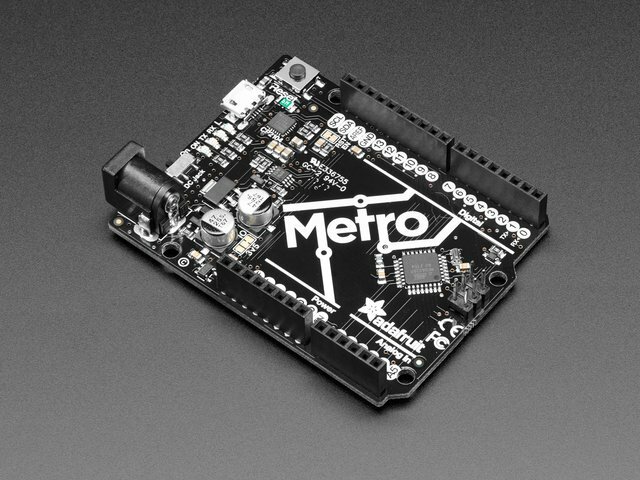 The Menta uses an Atmega 328, so it is compatible with the Uno, and it has standard Arduino headers for excellent shield compatibility! While many of these compact processors could be worked into a project you could wear. The Flora is specifically designed for wearable projects. In addition to the thin profile and sewable connections, these processors are designed with rounded shapes that are fabric friendly with no protruding pins or sharp edges to snag on fabrics. With their attractive appearance and selection of similarly styled Flora peripherals, these are the boards to go to when you want to wear your microprocessor on your sleeve. The Flora is based on the Atmega 32U4 processor, so it is largely Leonardo Compatible. The following table compares the basic features of the various Arduinos and Arduino Compatibles mentioned in this guide. (click for a larger view). For shield compatibility, be sure to check our Shield Compatibility Guide. This guide was first published on Mar 23, 2013. It was last updated on Mar 23, 2013.